The Dottie Quilt Kit features preprinted fat quarter yardage from the All A Twitter fabric collection by Kari Carr for Hoffman Fabrics. 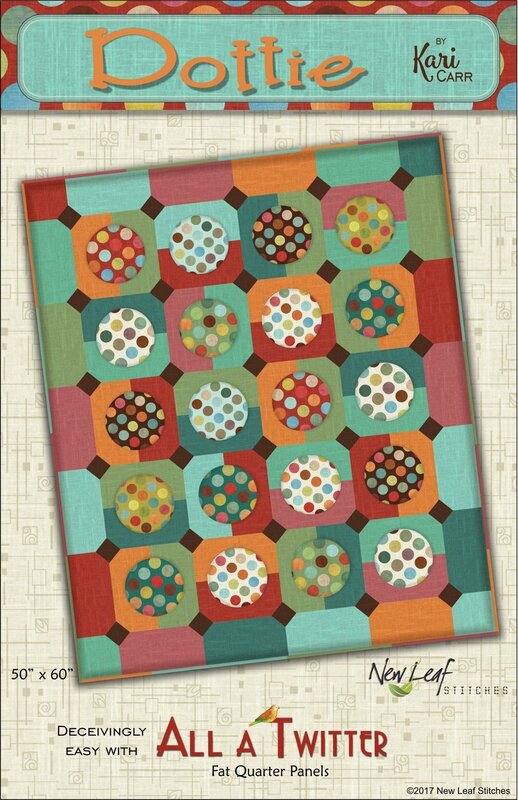 The Dottie Quilt Kit includes the pattern and the fabrics for the top, binding and backing. The finished quilt measures 50" x 60".